The Sims series provides many different gaming experiences for many different people. Its open-ended and intricate systems allow players to play however they want to play rather than pushing them into a one-size-fits-all experience. To some, The Sims could be like an ant farm, set up and maintained so they can observe the creatures living within. Maybe it’s more of a roleplaying experience where they’re concerned more with building up their character’s quality of life than building up their XP, and every bill payment is another boss fight. Or maybe they’re just there for the weirdness—the sims who pass out from exhaustion in a public bathroom or decide that the best place to eat a hot dog is in the middle of a busy road. There are very few games quite like The Sims, but depending on what it is that draws you to it, there are more than a few other games that you should check out as well. Tend to crops, animals and friendships diligently and you’ll reap the rewards; add a few charming rural festivals and that’s Harvest Moon in a nutshell. 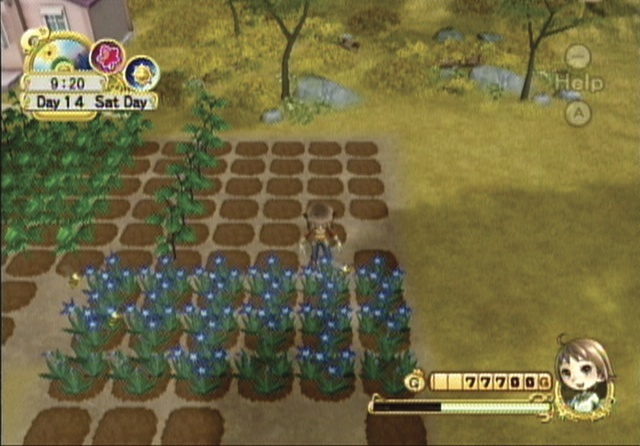 The combination of social interaction and daily work routine in this long-running farming RPG franchise will feel very comfortable to those who like their life simulations to offer the kind of straightforward progress that reality rarely does. Between the upcoming Story of Seasons (which was developed by the team behind the bulk of the Harvest Moon games) and next month’s Harvest Moon: The Lost Valley (developed by Natsume, who own the rights to the Harvest Moon name), 2014 will be a good year to get into the series if you’re not already. So-called “Legacy” play is another popular way to approach The Sims. Although starting with a modest family and following each subsequent generation can take a long time, it leaves you with one heck of a great story to tell at the end. 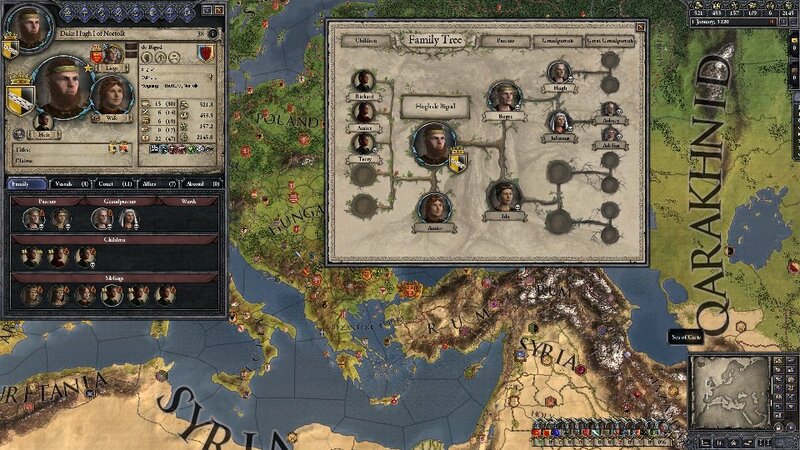 While Crusader Kings 2 can be a game about strategic medieval warfare, it can also be a game about noble families squabbling amongst each other, petty dramas playing out between rebellious heirs, and the desperate race to have as many babies as possible before your character keels over from one plague or another. It’s not the prettiest game on this list, but it’s practically tailor-made for anyone who treats their sims’ lineage like a dynasty. 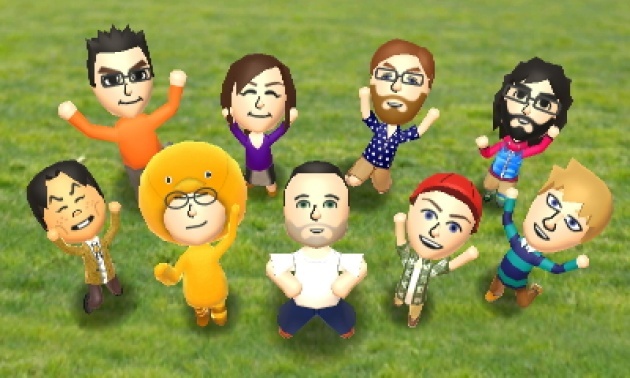 Tomodachi Life is an excellent recent example of an “ant farm” game. Players create a cast of neighbors to populate an island, fulfill their basic needs and help them with their fashion choices and décor, but beyond that the player’s role is to sit back and observe the weird and surprising things that can happen. Like Animal Crossing: New Leaf, Tomodachi Life relies on a real-time clock and lends itself to short, regular check-ins rather than marathon sessions. Unfortunately, the way that Nintendo of America chose to handle Tomodachi Life’s unapologetic heteronormativity prior to its release last June left a bad taste in a lot of potential players’ mouths, so it’s fair if you would rather steer clear of this one. Maddened by the recent epidemic of elephant attacks, a talented dwarven artisan locks the dwarves in their workshop. They emerge days later—exhausted, calm and bearing an ornate bracelet inlaid with gold and engraved with an image of an elephant stomping a dwarf into the ground. That’s something that happens in Dwarf Fortress, and (circumstances permitting) it’s not even terribly uncommon. 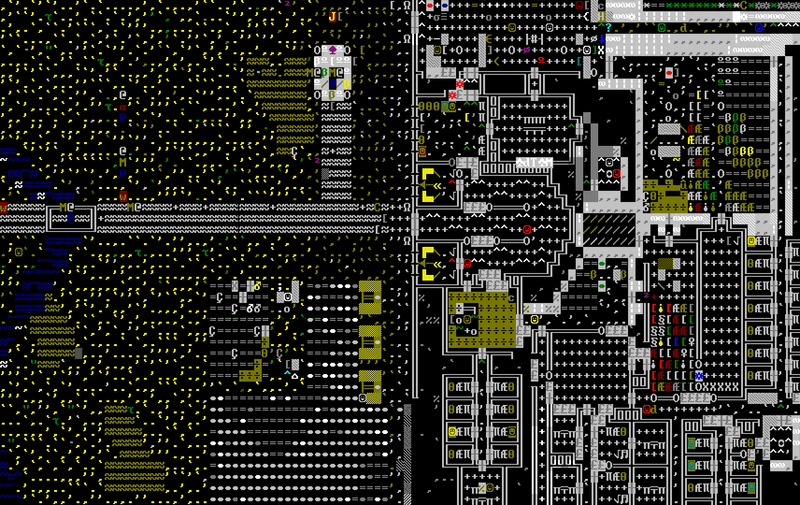 Unfortunately, as fascinating a simulation as Dwarf Fortress can be, it can seem utterly impenetrable to newcomers. If it sounds like your kind of game, don’t be afraid to test out some fan-made tile-sets and instruction guides. Trust me, it’s worth it. For players that find themselves missing a lot of the magical options that The Sims 3: Supernatural expansion pack opened up, a copy of the old Nintendo DS game Magician’s Quest: Mysterious Times might scratch their itch. 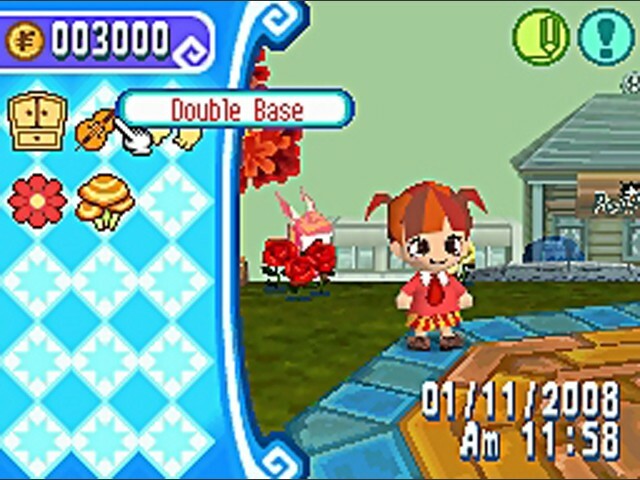 Although its similar aesthetic and mechanics mean that it could be mistaken for Animal Crossing, Magician’s Quest casts the player as a new student at a magic school whose responsibilities include attending class to learn new spells and completing quests for classmates, staff and townspeople. And yes, you can use those spells whenever and wherever you want. 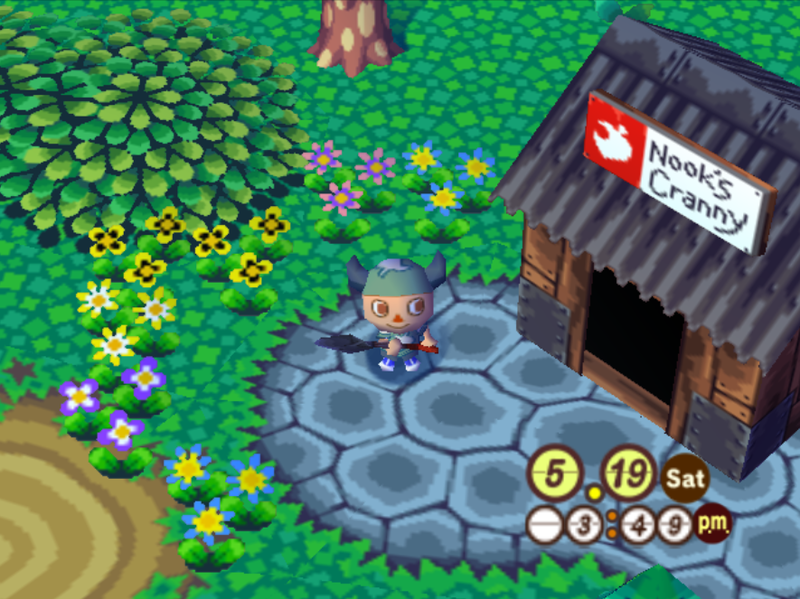 This underrated slice-of-magical-life feels a little more purposeful than Animal Crossing, and it’s a solid choice for players who would prefer an ever-so-slightly less realistic world. Interpersonal drama is where a lot of games fall dramatically short, especially when it comes to social behavior as we know it now. These days interaction is as much about what you do with someone as it is what you Tweet at them, and while The Sims’ relationship systems allow for a lot more subtlety than most games, Redshirt still has it beat. 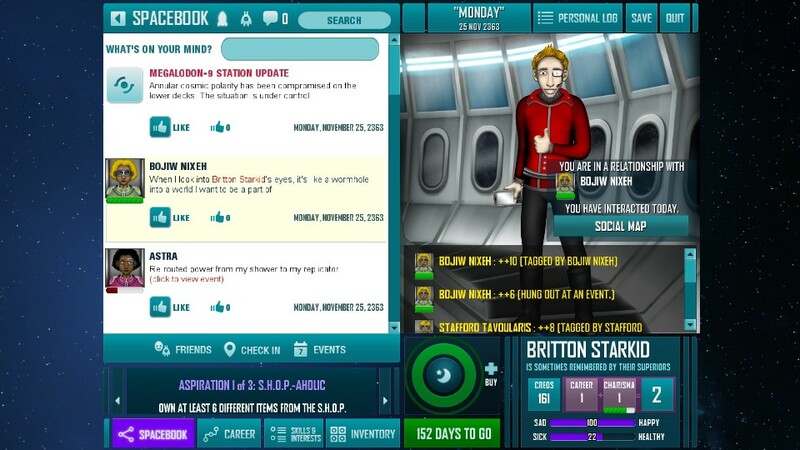 The goal of Redshirt is to climb the social ladder on a space station facilitated by its social network, “Spacebook”. More specifically, you’re climbing it all the way to safety from impending disaster, even if you become the absolute worst kind of friend in the process. It’s a clever and well-written sci-fi social simulation, but players who prefer a slightly more contemporary setting might want to check out the slightly more mundane Kudos 2 (available from the same publisher) as well. If you’ll pardon the pun, things get a lot more real in Real Lives 2010 than they ever do in The Sims. This educational game was designed to teach students about the different circumstances that people around the world live in, and it doesn’t gloss over any of the unpleasant parts. 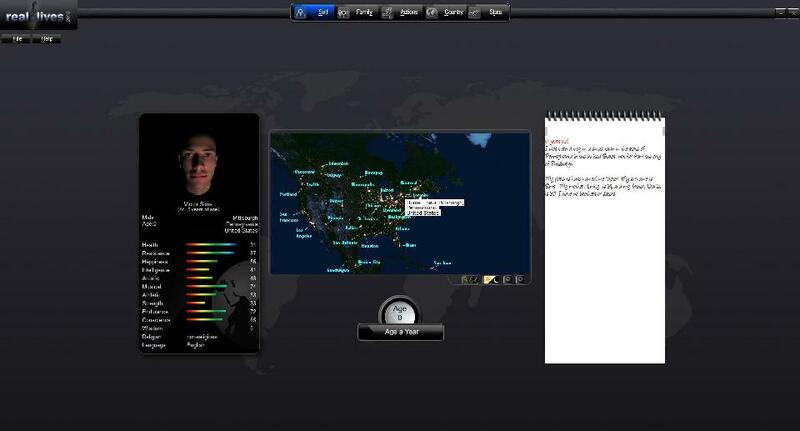 If players are incredibly lucky they’ll roll a character born into a charmed and comfortable life, but the odds are not in their favor; in the vast majority of Real Lives 2010 playthroughs, characters will have to contend with crime, poverty, famine and disease. Trying to provide the best life for a character and their family, no matter what circumstances they were born into, makes Real Lives 2010 an incredibly interesting (if somewhat depressing) experience. Of course even within The Sims franchise there’s a wealth of choices, especially if you don’t mind digging firing up an older console for some of the more experimental branches of the series, like The Urbz. On second thought, maybe I’ll stick with Harvest Moon.